Before the elections, Chief Minister Shankar Pokharel was for naming Dang as the provincial capital but he is silent over the issue after the Nepali Congress government fixed Butwal as the temporary provincial capital. Confused over how to move ahead in resolving the row over the provincial capital, Pokharel has not tabled the proposal at the provincial assembly so far. Lawmakers say naming the province is not that much difficult. 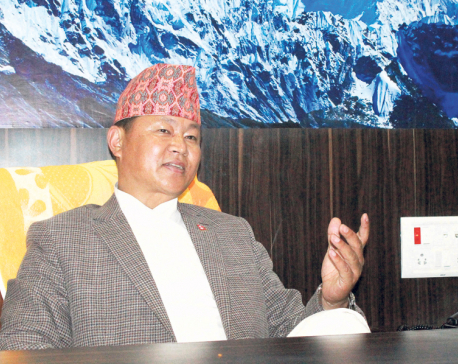 CM Pokharel says they can choose Lumbini or Buddhabhumi. The lawmakers, however, are sharply divided over whether to choose Butwal or Dang as the provincial capital. Lawmakers from Rapti and Bheri region have been strongly lobbying to change the provincial capital saying Butwal is not accessible for locals of western Nepal. Lawmakers from Rupandehi, Arghakhanchi, Gulmi, Nawalparasi and Palpa are for continuing Butwal as the provincial capital.